The year is 2012. The month is October. The time is Pubcon. No matter if you are a veteran or rookie of Pubcon you have most likely read any of the what to do before Pubcon, what to pack, rookie survival tips, and how to make the most of type posts. Since everyone is busting out their "How to Do" Pubcon type list, why not another one? Every year during one of the many Pubcon or related networking events a person has the opportunity to meet a large number of people. So with 3,000 to 5,000 people at a conference how do you stick out? How will you find yourself meeting random new people all night and having a great time? How will the people you do know find you in such a large sea of people? Now you don't necessarily go big or go home but you may want to go outside of your comfort zone. As Ralf and CK have proven, something as simple as a unique shirt can go a long way towards meeting new people. This idea doesn't need to simply be a one conference trick! I am sure that over the years at various conferences you have seen either Mikkel deMib Svendsen in his orange suit or Rand in his yellow shoes. Both are trademark looks that I'm sure have broken the ice for more than one conversation. At any given conference that you find Jeff Randall, Tim Ash, Michael Dorausch, Andy Beal, or Matt Siltala you will find a camera nearby and possibly pointing at you. With a camera in hand you can easily walk up to a group of people, ask if they want a photo, snap a shot and then introduce yourself. Quick and easy way to meet people anywhere. This year in fact Michal Dorausch is taking it up another level by offering Photo Ops to any and all attending Pubcon. Talk about a great idea! If anyone meets more people this coming week then him I will be truly shocked by their speed networking abilities. Perhaps you don't consider your photographic skills all that developed. What about creating your own Pubcon Pony and getting people to quickly pose for shots with it using their own phone's camera? 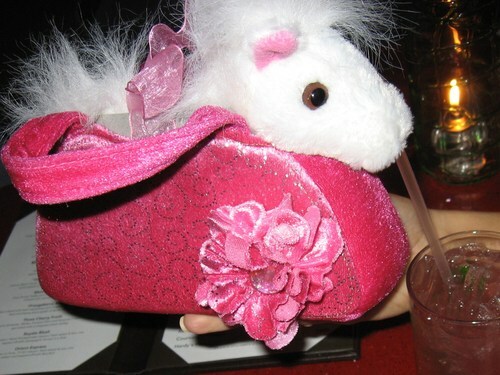 Have you never heard of the Pubcon Pony? If you haven't here is a bit of background from Kristy the owner of Pubcon Pony, "The pony started as a bit of a joke between Brian Carter and myself on Twitter. It became real when I "won" a stuffed pony at his session. It was a little silly but it got people talking and a lot of people had heard about what had happened. It became a conversation starter. I was having fun with it. It became my personal mission to get a picture of me and the pony with as many people as I could find. It was completely silly but totally fun. Ultimately it was a way to comfortably approach people in the industry I admired and may have been otherwise to shy to talk to.". It was quite a few years ago (sadly) that Pubcon Pony last made an appearance but maybe Kristy brought Pony back with her this year! Does your company have its own Traveling Gnome or Pubcon Pony? Get it in the suitcase and try it out at one of the events next week. And then there is simply the act of making a big entrance. 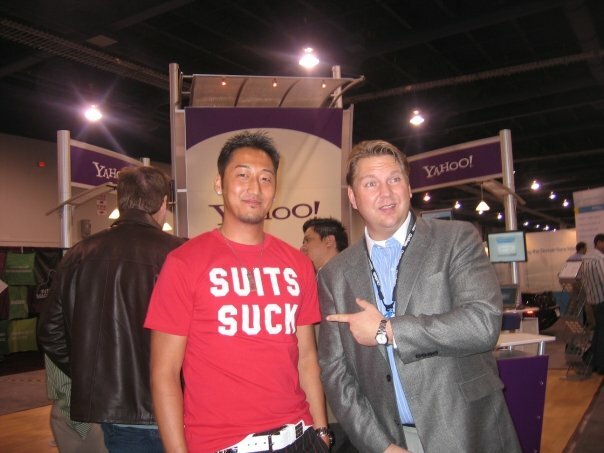 Some years ago the SEO Rascals hit the scene and Vegas hasn't been the same since. What better way to strike up a conversation then by riding by on a scooter... on only two wheels?!? Now don't run out and try and rent a gocart or a scooter but just think outside of the box, or at least outside of your comfort zone and you will meet more people then you will sitting in your room. Pubcon has great content and speakers but what if they dont answer that one burning question. While walking to lunch or that next session you may overhear someone say your hometown's name. Be ready to jump at the chance to network and meet new people. Video thanks goes out to Snoop and Hooley. Years ago when I was a (leave me alone and let me hide at my desk) Web Developer I knew that if I didn't force myself to attend the networking events I never would meet anyone. Eventually I got out of my comfort zone and soon found that I could go to an event of 100, 300, or 5000 attendees and leave with at least a few new friends each time. So as you finish packing your suitcase for your flight or drive to Pubcon think about how you can get a bit out of your comfort zone. Then get to as many events, sit with as many new people during lunch, and strike up conversations in between sessions and get to networking.